I have been busy lately. It’s summertime so busy is not strange or unexpected. Neither is this me complaining about being busy. Honestly I would love to be this busy all the time. That being said, busy is no excuse to neglect my art. I haven’t scheduled any large blocks of creative time in a while. Yet I do set aside time every week to start experiments and then to check in on them and record results. I am looking forward to the next creative time block, and to the launch of my etsy store in the fall. 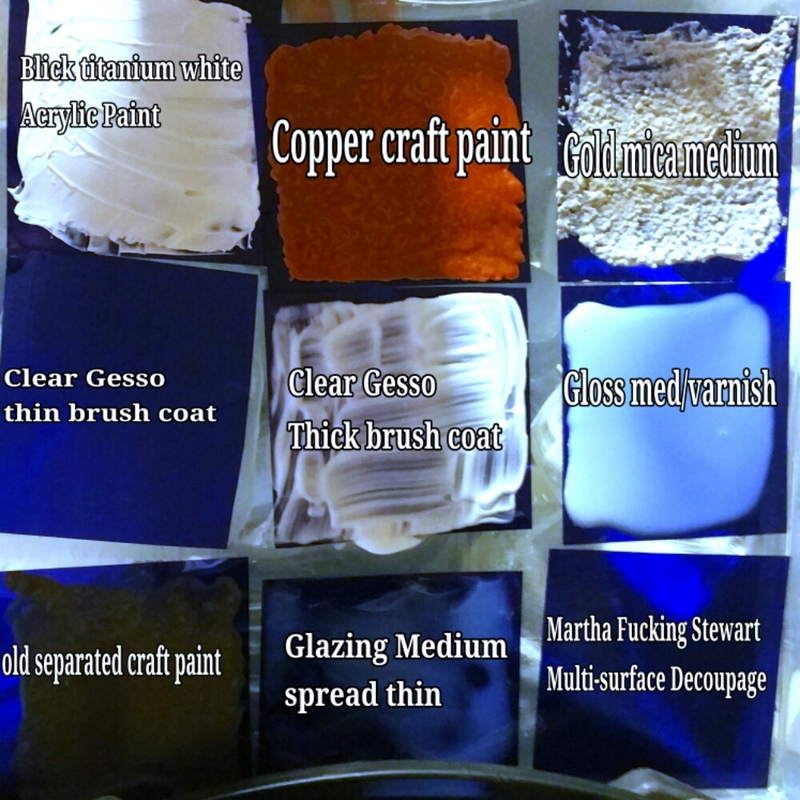 I am currently focused in observing how different acrylic media react with other materials. I'm looking forward to recording how long each takes to dry, their ease of manipulation and durability.